Rural life in Southeast Asia is being transformed by new and intensifying processes of migration and mobility. Migration out of rural areas creates new forms of class mobility, familial relations, production processes and income. Migration into rural areas creates a new and sometimes marginalized workforce, contestation over resource access, and the juxtaposition of culturally different groups. At the same time, everyday mobility stretches the spatial boundaries of village and family life. The bounded space of the village is no longer adequate to understand the dynamics that are driving (and resulting from) rural social change. 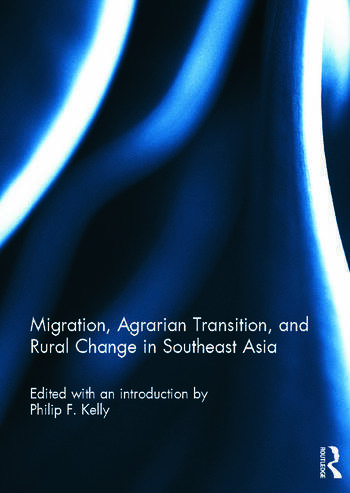 This collection of original studies explores the cultural, economic and environmental dimensions of intensifying migration and mobility in rural Southeast Asia at multiple scales. Diverse processes are explored including rural-urban flows, rural-rural movement, everyday mobilities, and international migrations into regional and global labour markets. Drawing on fieldwork in six countries across the region, these essays also explore what migration means for our understanding of class, citizenship, gender and the state in a rapidly changing part of the world. This book was based on two parts of a special issue of Critical Asian Studies. Philip F. Kelly is associate professor in the Department of Geography at York University, Canada, and a research associate at the York Centre for Asian Research where he is also convenor of the Centre’s Philippine Studies Group. His research is based in Southeast Asia and in Canada and concerns issues of culture and class in processes of migration, transnationalism, and immigrant settlement.